On 20 May 2013, Eurocopter EC135 P2+ PH-MMT "Lifeliner Europe 4" was seen at Oostwold-Oldambt airfield, the Netherlands, during the Oostwold Airshow 2013. MMT (Mobil Medical Team) "Lifeliner Europe 4" is stationed at the helideck on the roof of the UMCG in Groningen. Eurocopter EC135 P2+ c/n 0871 was test flown with Eurocopter Deutschland test-registration D-HCBN. 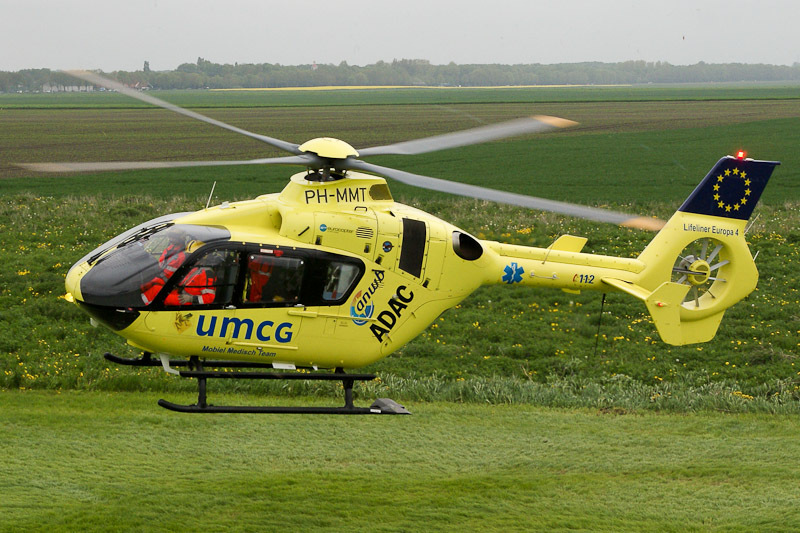 On 25 February 2010, the EC135 P2+ was registered PH-MMT in the Netherlands with ANWB Medical Air Assistance, Utrecht, as holder. The 2010-built Eurocopter EC135 P2+ PH-MMT is fitted with the new Inlet Barrier Filter. During the “Open Dag van de Zorg” on 20 March 2010, ANWB Medical Air Assistance’ Eurocopter EC135P2+ PH-MMT was presented as the new "Lifeliner Europe 4" at the UMCG in Groningen. The PH-MMT replaced EC135 P2 D-HSAN in service as "Lifeliner Europe 4". After the D-HSAN was returned to ADAC Luftrettung GmbH on 31 December 2009, Eurocopter EC135T2+ PH-HVB was used as a temporarily replacement. PH-MMT entered service as “Lifeliner Europe 4” on 21 March 2010.